Smartphone manufacturer from China, Gionee has just launched a new smartphone named Gionee F103 Pro in India. 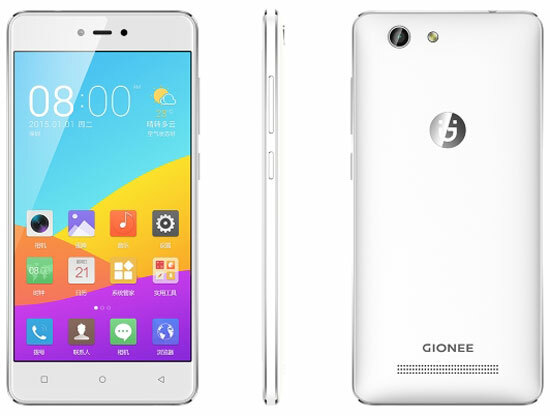 Gionee F103 Pro is the successor of Gionee F103, released in 2015 yesterday. Gionee F103 Pro is a middle-class smartphone offered with a price tag of Rs. 11,990. And being a contender for OPPO A37 which also recently launched in India. Gionee F103 Pro comes with Android 6.0 operating system with a display interface Marshmallow Amigo 3.1 UI. Gionee F103 Pro has a touch screen measuring 5.0 inch IPS LCD with a resolution of 720 x 1280 pixels and produces a pixel density of 294 ppi, and overlaid with a 2.5D curved glass. Gionee F103 Pro is powered by MediaTek MT6735 chipset, which is supported by a 64-bit processor quad core 1.3GHz and Mali-T720 GPU. Gionee F103 Pro is also equipped with 3GB of RAM and provides a storage media via an internal memory of 16GB that can still be expanded through a microSD slot up to 128GB. Gionee F103 Pro is equipped with a 13 megapixel rear camera with PDAF and is equipped with LED flash, and armed with a 5 megapixel front camera. Gionee F103 Pro comes with other features such as dual SIM, 4G LTE with VoLTE, Wi-Fi, Bluetooth 4.0, GPS, USB OTG and equipped with a battery capacity 2.400mAh.